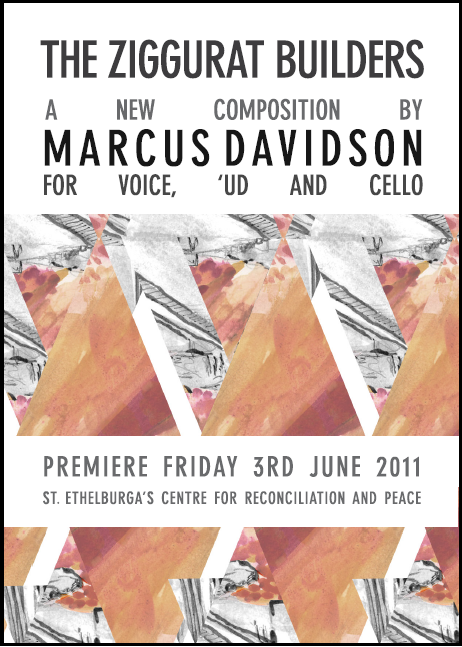 A collaboration with composer Marcus Davison, vocal trio (Voice) and Khyam Allami, exploring the music of voice, ud and cello from medieval to contemporary. Taking the title and libretto from an existing poem by the late Assyrian poet Sargon Boulus (1944-2007) translated from Arabic into English by the author, Marcus Davidson created a new composition for this unique ensemble. yet, unexplored combination of ud, voice and cello. Toured throughout the UK in June 2011 – Premiere at St. Ethelburgas, London.